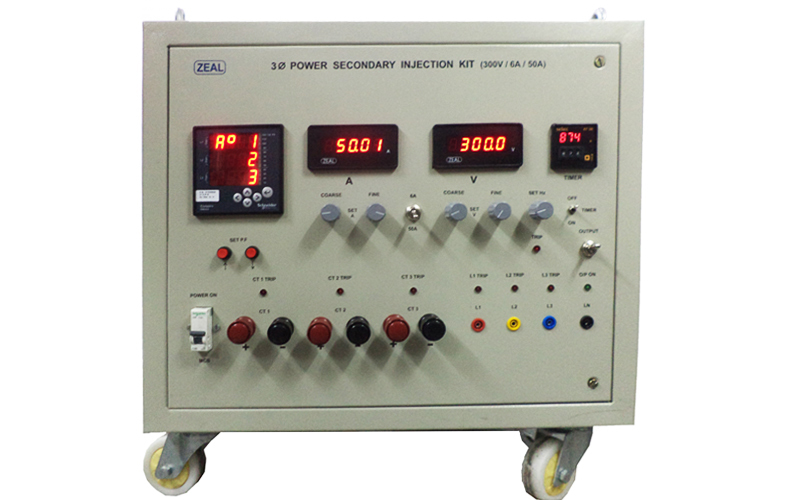 We are Manufacturer, Supplier, Exporter of Three Phase Secondary Injection Kit and we are also specialized in Calibration Services ( Calibrator ). Our setup is situated in Pune, Maharashtra, India. Power Factor Range 0.5 Lag to Unity to 0.5 Lead. Controls Voltage, Current & Frequency setting by multiturn potentiometer, PF by push button keys, Timer by thumbwheel switch.